Why Do I Need to get Dental Implants in West Los Angeles? If you’re seeking out a periodontist in West Los Angeles, don’t settle for less than the best. After all, dental implants can be right for you even if you have one missing tooth, and you want to improve you ability to eat, chew and even speak. Millions of Americans suffer tooth loss, so it’s nothing to be ashamed of, and what most don’t realize is that almost no one is beyond hope of treatment for their missing teeth. Dental implants in West Los Angeles may be the answer for you if you need to replace both the root and actual tooth in your mouth, either for full arches or just a single tooth. Cosmetic reasons. Dental implants have the same look and feel of your actual teeth, and because they are fused to the bone with titanium roots, you can expect to have these teeth for life. Better speaking ability. Poor-fitting dentures can slip within your mouth and cause your speech to be mumbling or less articulate. Permanent teeth eliminate this possibility. Comfort. 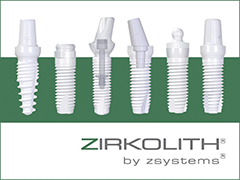 These permanent dental implants eliminate discomfort of removable dentures. Easier eating. Dentures that slide can make it difficult to chew, while dental implants function like your own teeth and allow you to eat with ease. Improved oral health. You improve your long-term oral health and hygiene with dental implants. Convenience. These teeth are not removable, and eliminate the embarrassment of having to take out the dentures and clean them or use messy adhesives.